Whatever your goal, there’s a certain time of the day when training will maximise the results you’re looking for. 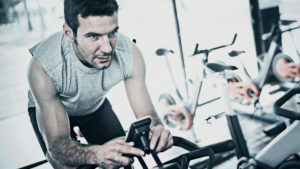 HFM take a look at the best times of day to train for fat loss, cardio, power and strength. We live in a time-poor society, so when an opportunity to train or workout arises, we need to make the most of it. Unfortunately, for many of us that means squeezing in a weights session during lunch or an early morning run or cycle. All very commendable and preferable than doing nothing, but how about seeing your limited time as an asset to increase the benefits of your labours, depending on the time of day you do it? Ask anyone with a bit of training know-how what the best time of day to train is, and they’ll tell you: first thing in the morning is better for fat-burning, and, as you’re strongest in the early evening, that’s the ideal time for hitting the free-weights. Armed with such knowledge you can tailor your workout to the time-slots you have available. A study in the Journal Of Medicine and Science In Sports And Exercise found that working out on an empty stomach in the morning rather than later in the day burns a kilogram of fat quicker. Plus, you’re more likely to make it part of your daily routine – something corroborated by The American Council On Exercise. Their study found that, as the day goes on, it gets easier and easier to find excuses to skip a training session. For a full-body, fat-zapping workout, perform 30–40 minutes of interval training on several different cardio machines when you’re down the gym. To maximise its effect, be sure to alternate between 40 seconds of all-out effort and 2 minutes of rest. 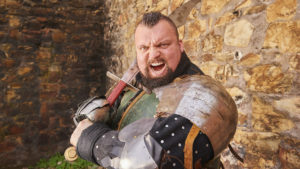 Research that was published by The Endocrine Society found your levels of testosterone – which is linked to male traits such as aggression – are up to 25% higher in the morning than later in the day. One theory they presented is that eating actually lowers the hormone’s levels, making exercise before breakfast favourable. So pack an extra hit during a session on a punch bag. Stay light on your fight and punch and jab for 2 minutes, then take a short rest for 1 minute – that makes one round. You’ll burn 24 calories per round, so the longer the bout, the quicker you’ll get yourself down to fighting weight. A study at the University of North Texas found your aerobic capacity is 4% higher in the afternoon. However, if you’re exercising at this time, it’s likely you’re on your lunch hour – so you’ll want maximum bang for your buck. Research in the Journal Of Physiology found short bursts of very intense exercise produces the same results as longer endurance training. The Journal Of Physiology advises a routine of performing 4–6 sets of 30–second bursts of intense cycling or running, separated by 4 minutes of slow recovery. This yields the same performance results as continuously exercising for 90–120 minutes. Not only will cycling back from work probably get you home quicker, it’ll also burn more fat. A study at the University of Wisconsin, USA, had cyclists perform three 30-minute bouts at 65% of their maximum heart rate at three different times of day: 5–7am, 11–1pm, and 5–7pm. Training later in the day raised their metabolism much more than any of the other two occasions. Cycle (or run if you’re bike phobic) at an easy-ish pace for 30–40 minutes after work. Research at Stanford University School of Medicine found it eases the stress from the day, improves your sleep and reduces the time it takes you to drop off by half. Medicine And Science In Sports And Exercise found people can lift more at night, while The Journal Of Clinical Endocrinology & Metabolism revealed cortisol levels – the enemy of muscle – were lower in the evening.